CONNECT, REFRESH AND NURTURE YOUR SOUL. My answer to him was a simple, “I have no idea.” It’s this very question that motivates me every day to share the Word of God. I know I’m not alone when I say that life can be hard sometimes, and so sweet at other times. I’ve been in ministry for two decades, and just when I think I’ve got my life figured out and it should be smooth sailing, God redirects me and places a new challenge on my heart. This experience I’ve been led to create is a work of love for our Lord and for every woman out there who needs Him. We need God. We need each other. We need to share and laugh and cry. We need to be nurtured in every way. And if my crazy life can help you find nourishment, then I am grateful I get to share with you. You will walk away from each interactive, energizing experience feeling your soul has been nurtured. 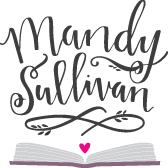 Mandy will help you discover the direction to navigating the journey we call life using real and refreshingly honest experiences. It is her mission to nurture the souls of women whom she affectionately calls girlfriends and walk with them through His Word as they grow in their relationship with God. YouTube: Check out our YouTube channel and watch some of Mandy’s video and singing excerpts from various speaking subjects by clicking HERE. Studying whatever is true, noble, right, pure, lovely and admirable. Learn how to find strength in these things to apply to your life each day. What is God’s plan for your life? Discover how to know, accept, and trust what His plan is for you. Learn how forgiving yourself, forgiving others and forgiving God is the key to your future. You are enough because God is enough. Rest in the truth of who you are as a child of God and who your God is. Accomplish God’s best for yourself and learn how to overcome stress, anxiety, and fear. Welcoming each new year with rest and revival. What does the Bible teach us about caring for ourselves and challenging ourselves in the new year? Mandy will share her own personal stories from her own divorce, the struggles, the forgiveness, and the redemption. How to put your heart and soul in the correct place during the chaotic, and sometimes sad, holiday season. Learn how we hold firm to God’s promises, even during life’s most difficult circumstances. 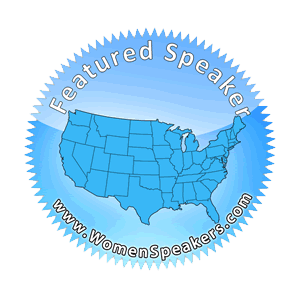 Mandy is always developing new presentations, and she can create or customize her discussions for your event audiences.